You will find, most of the things, recommend, are “WORK SAVING” gadgets that help the beneficiary be “FREE” of the drudgery of demanding household chores. I also discovered that, all too often, the Medical Mega-Industry has been complicit and abetting in promoting pharmaceuticals as a viable alternative to Physical Exercise and Mental Stimulation. Thus the need for the elaborate digital “Portable Pharmacy”pictured in this Newsletter. We want our aging Parents and/or Grandparents to become MORE active not LESS active. 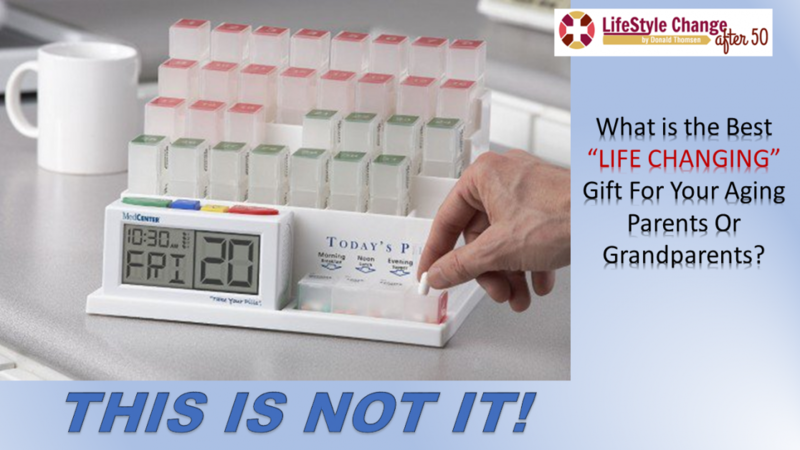 What is the “BEST” Life-Changing Gift you can Give your Aging Parents or Grandparents?